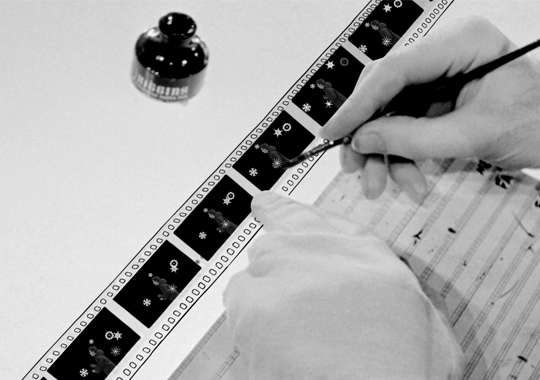 Created using outtakes—tests—that were done to make the film A Chairy Tale (1957) by master of animation Norman McLaren, Flocons is a black-and-white short set to the music of Tchaikovsky and featuring none other than Canadian filmmaker Claude Jutra, who plays a character imprisoned in the celluloid on which McLaren paints directly. 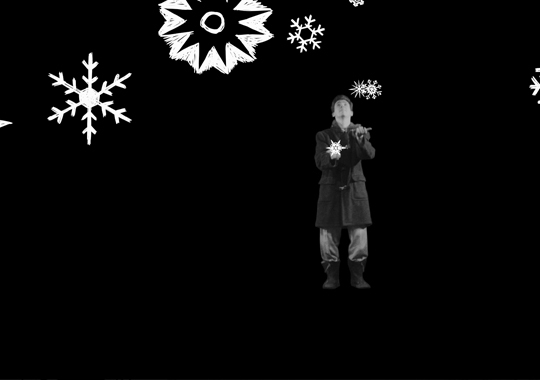 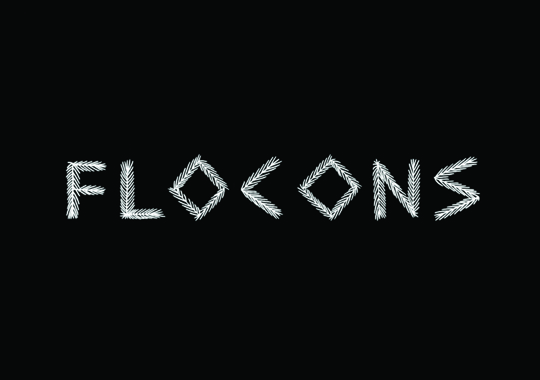 Flocons aims to celebrate the 100th anniversary, in 2014, of Norman McLaren’s birth. 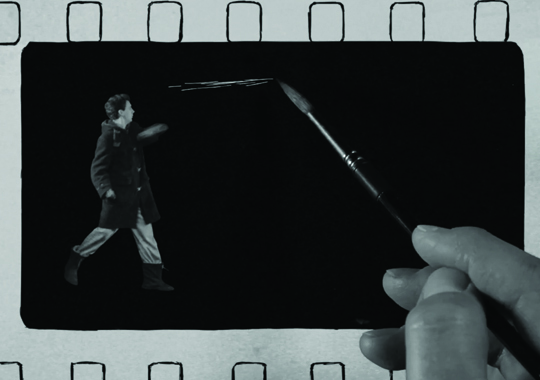 While I was working on the research for the film JUTRA , I was astonished to find a unfinished film by Norman McLaren and Claude Jutra that seems to have been shot at the same time as A Chairy Tale . 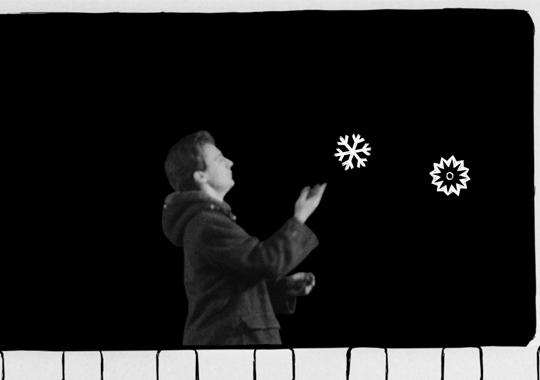 Flocons to open Regard sur le court métrage au Saguenay & World premiere of JUTRA.